Show Racism the Red Card - Show Racism the Red Card welcomes Matt Murray to our team! Show Racism the Red Card welcomes Matt Murray to our team! 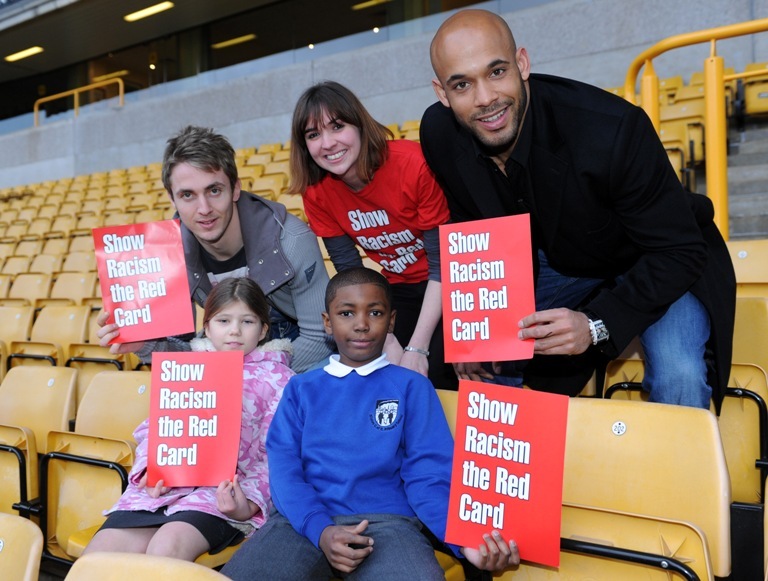 We are delighted to welcome Matt Murray to Show Racism the Red Card. Matt is a long-standing patron of our campaign and has supported many of our educational events, including at Wolverhampton Wanderers earlier this season. He will be a real asset to our team and we are looking forward to working with him. Matt will be joining us as a sessional worker, alongside his commitments as Wolves Ambassador. "I'm excited and passionate about getting involved with the 'Show Racism the Red Card' team. I've experienced racism both on, and off, the field and really want to try and play my part in educating people so that - perhaps - racism in society, and sport, becomes a thing of the past. I think education is key to changing peoples' attitudes. Although the charity has already made a big difference I believe there is still a lot of work to be done and I want to be involved and get on-side (excuse the pun!)." Matt [right] and SRtRC Campaign Worker Jo [centre] will be presenting our Anti-Racism School Competition Awards Ceremony at Old Trafford this Thursday.